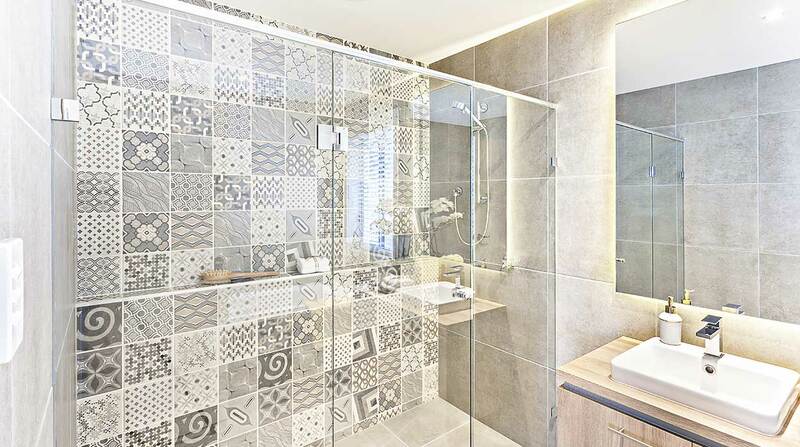 Have you ever thought of transforming your bathroom to look more contemporary by introducing glass shower doors? Well, this is a common trend among modern homeowners who want to introduce warmness, classiness, and uniqueness in their bathroom spaces. There are many features that you are expected to look at when buying new glass shower doors for your bathroom space to transform it from the conventional to the modern interior look. You may need the services of an interior designer to help you in identifying the most suitable design of glass shower door that will give your bathroom a fine touch. Having an attractive and flawless bathroom is the desire of many homeowners in the modern society if you are looking for ideas on how to find the right glass shower door for your bathroom to make it more modern, we will guide you on what you need to look at. 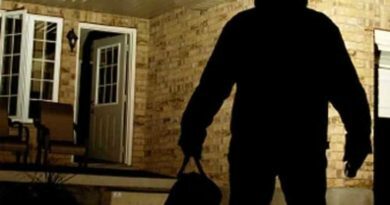 Following the recommendations on this article will help you to get just the right fit for your home. 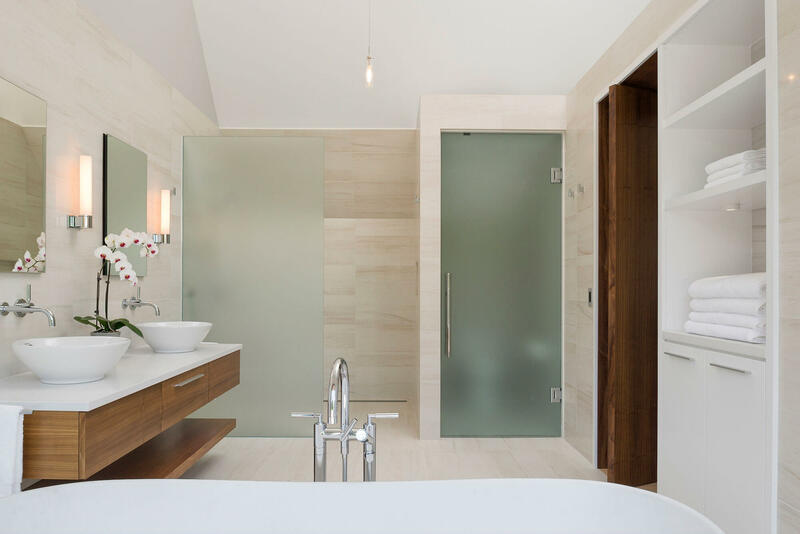 Frameless shower doors have become a popular choice for many homeowners who want to transform their bathrooms from the conventional t a more modern design. Identifying the most suitable frameless design for your bathroom could be challenging if you do not have prior experience in selecting them. 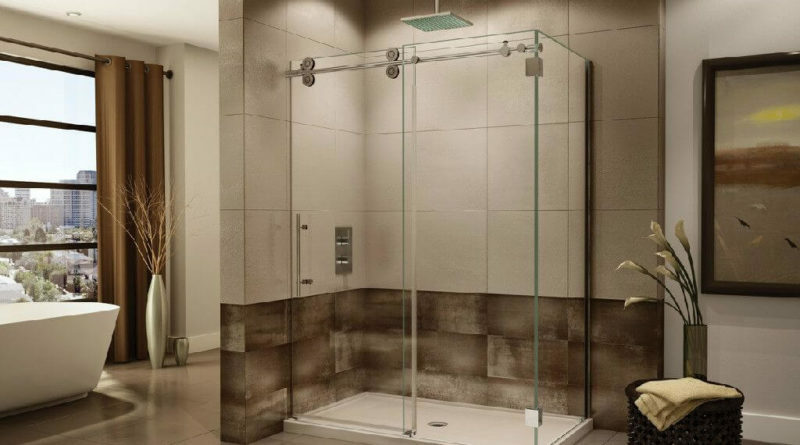 A frameless glass shower door is suitable due to the clarity if provides to users to view any ceramic works that are within the shower enclosure. For many bathrooms, they are covered with stone works that are attractive and end up creating a warm and welcoming environment. If you are looking forward to identifying the most suitable frameless design for your modern home, you should go for the one with clear but tempered glass. -The clear glass does not have any obscurity when observing any accessories that are installed within the shower enclosure. This is, therefore, most preferred by homeowners who want to transform the bathroom with a modern look. However, if you want to have an improved sense of privacy within your bathroom enclosure, you may opt to have a frosted glass shower door. This will, however, obscure the view of the stonework within the shower enclosure. 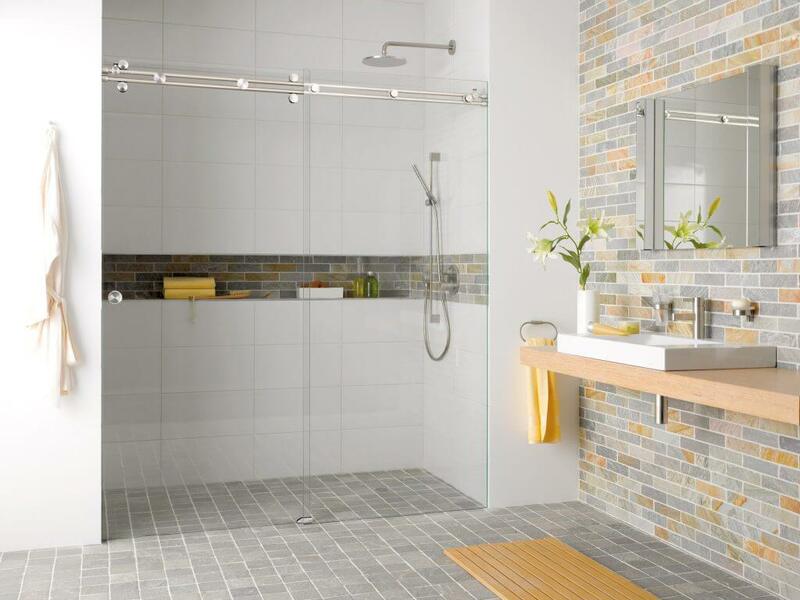 Semi-framed shower doors are partly fixed with metal frames either at the top or on the sides. This is meant to offer more support to the shower doors. The choice of the shower glass door that is semi-frameless is dependent on the people that are meant to use it. It is more preferred to have a semi-frameless shower door in a home that has children due to the reduced risk of being damaged. Usually, the semi-frameless are fixed with metal frame and additional handles. Despite the utterly frameless glass doors being most preferred, the semi-frameless also make your bathroom look elegant and attractive. If you have are still wondering on how to find the right glass shower door, frameless doors are a perfect fit. Have you ever tried to find the right glass shower door for your bathroom but failed to find the right one due to lack of sufficient information? Well, having a framed glass shower door in your bathroom requires you to be creative and innovative. If you want to give your bathroom that modern look, you will need to ensure that you have selected an attractive frame. For instance, if you are to select an artistic frame, ensure that it is unique and matches the theme in your bathroom. This is a common mistake that many homeowners make of overlooking the theme in their bathrooms and buying a framed shower glass door that is conflicting. 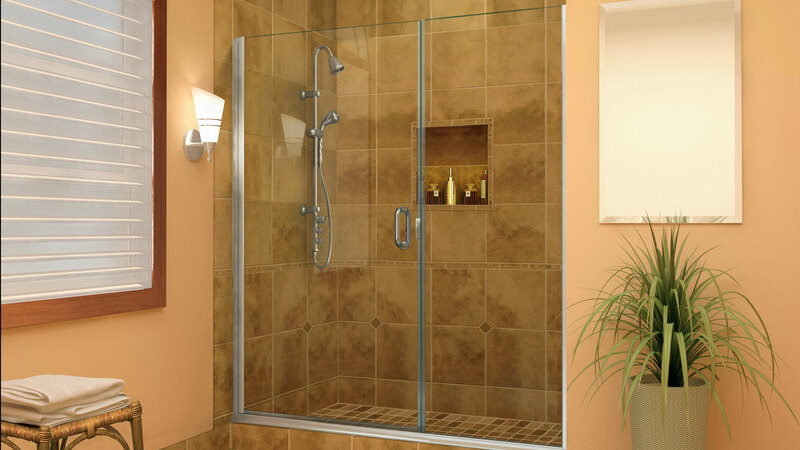 A useful tip when installing framed shower doors is that you can fix them to one of the walls of the shower enclosure. His should however be carefully done to avoid any distractions. Are you wondering on how to find the right Glass Shower Doors that have unique designs of opening? This section of the article will introduce you to the most popular designs of doors that open uniquely and transform your bathroom space to a more contemporary look. Having shower doors that are sliding in your bathroom helps you save on space while also improving the interior outlook of your shower enclosure. Sliding doors are of unique designs that can be introduced in your bathroom. 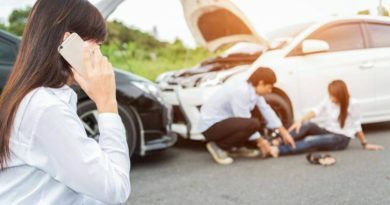 Ideally, the glass panels are fixed well so that they can slide on each other with minimum friction. 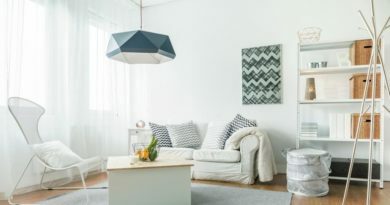 Expert interior designers understand the dynamics of fixing the sliding doors so that they don’t wear and tear doors are perfectly fixed into position. A homeowner who is not used to the DIY projects should consult when being opened. Usually, it is recommended that there should be a high level of precision so that the sliding the services of expert technicians so that they can fix the glass shower doors for them. If you are still having trouble finding the right glass shower door for your modern bathroom, Fab Glass And Mirror can help you with selecting the most popular choice. How much space do you have in your bathroom? This is a question that you ought to ask yourself before deciding to invest in pivoted glass shower doors. The pivoted end of the door is fixed to one glass panel used in creating the shower enclosure. The pivot is fixed allow for the free rotation of the door outwards. This, therefore, requires that the bathroom should have enough space for the rotation. If you have limited space in your bathroom, this might not be the right option for you. You may choose to go for the glass shower door that consumes less space. This means that as a homeowner, you have to take precise dimensions of the available bathrooms pace so that you can purchase just the right size of the glass shower door for your bathroom. If you fail to fix the pivoted glass door properly, its weight can result to wear and tear. 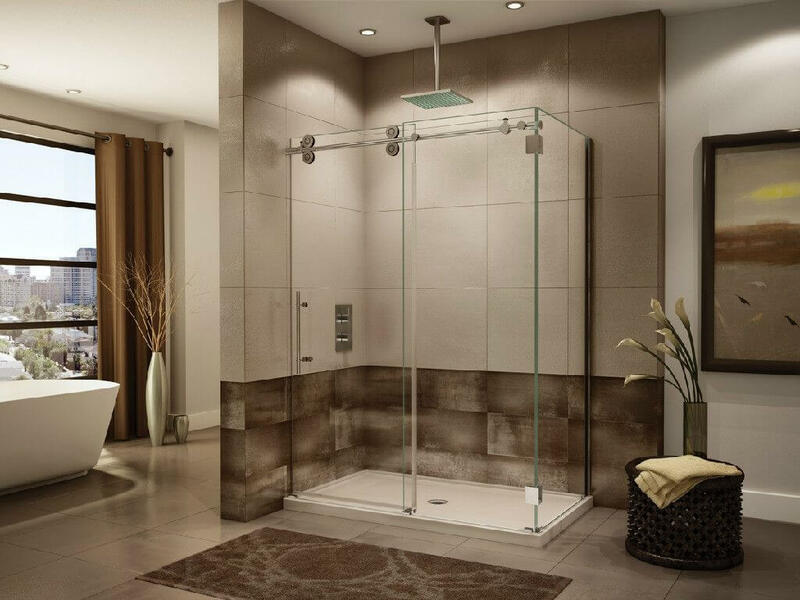 The folding glass shower door is a good option for homeowners who want to have a spacious entrance to their glass shower enclosures. The door can be folded to two or more folds as the design allows. Also, they are suitable for bathrooms that have limited spaces and cannot handle the pivoted doors. If you are looking for an option for pivoted glass shower doors, the folding type is the best alternative you will have. However, you should be precise about having the folding type or the sliding type of door. This is a choice that you have to make as a homeowner. 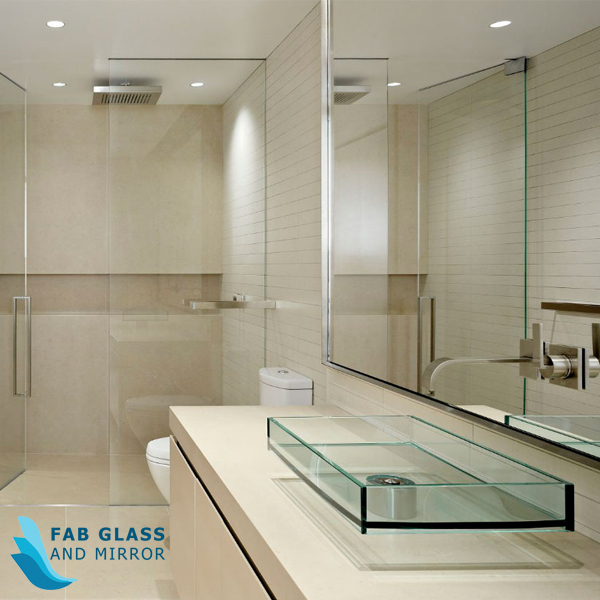 If you are confused about the type of shower glass door that is suitable for your bathroom space, experts at fab glass and mirror can be helpful in identifying the available options for you. In conclusion, finding a glass shower door that will transform your bathroom to give a modern look can be either easy or difficult depending on your experience. Mostly, it is recommended to have an interior designer who will help with measuring the dimensions of your bathroom as well as identifying the most suitable glass shower door.